MoMo has created another wonderland of whimsy and modern Japanese style. 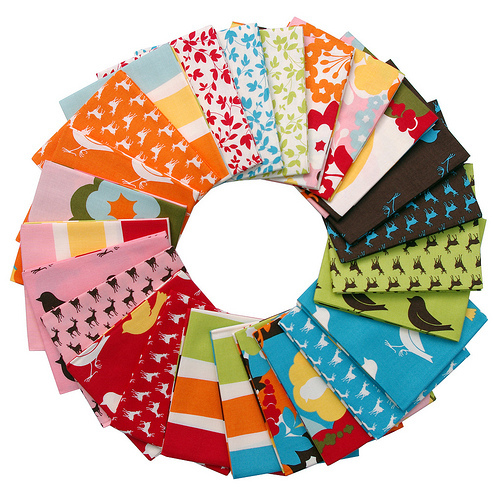 Very much reminiscent of the earlier ~ It's a Hoot ~ collection in color and bold design, this range features a rainbow of forestry, playful deer and fluttering birds. I have segregated the dots from this collection as on their own I think they're an excellent addition to any modern fabric stash. 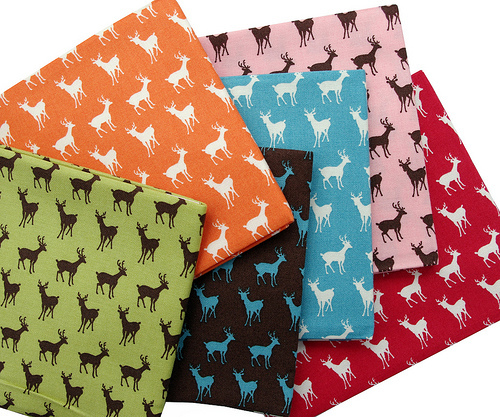 Polka dots are so versatile and easy to use; these simple/graphic prints help "join the dots" - integrate - colors and designs across numerous collections. I am also rather taken by these tiny deer. How darling are they? Thanks for sharing your Sunday Stash! I look forward to see all the wonderful fabric and adding to my stash! Have a great day! Ah! Love those polka dots. 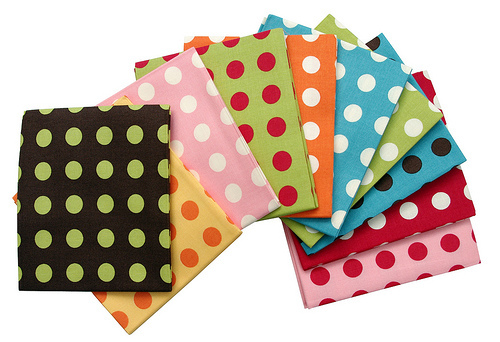 The rest of the line is cute too, but I have something of an obsession with polka dots, much to my husband's horror. Hehe.